Wondering how a call center could be of benefit to an eye doctor? Accidents, injuries, and emergencies do not just happen Monday through Friday between the hours of 8 and 5. There is always that one person at a family reunion who does the stunt that injures his eye. You need a way to manage the after-hours calls, and maybe even your over flow calls on a busy day so you can “focus” on the tasks at hand. Call Center Plus is a HIPAA compliant, live 24 hour Eye Care Physician Answering Service. We focus on your calls so you can focus on helping your patients! 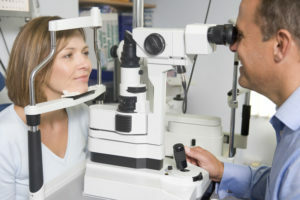 To receive a form to setup a Eye Doctor Answering Service account with Call Center Plus, enter your information below! A live, 24/7 Eye Care Physician answering service is the best thing since the pirate patch. Download our brochure and set up sheets. If you still have questions, give us a call. Call Center Plus. We answer the phone.